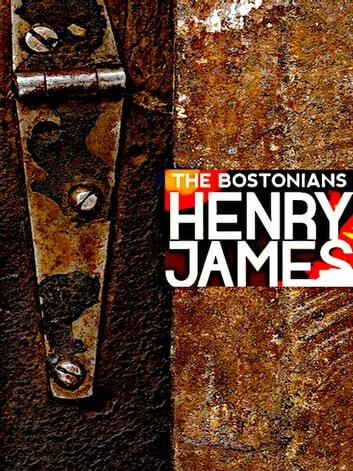 Published in 1886, the first installment of one of the most perceptive books ever written about women, the Henry James novel The Bostonians, was serialized in a magazine. The background of the novel is the struggle for women's liberation, a subject James explores with great energy. Thirty-five years before female suffrage and eons before the birth control pill was available, James saw it all. Its principal subject is ‘The Woman Question’ – i.e. the conflict between traditional views of the role of women in society, and the views of suffragists and what today would be called supporters of women’s liberation. There are three main characters: Olive, an ardent feminist who is wealthy and lesbian. Olive is totally possessive of Verena, and she has an equally passionate hatred of any potential rivals – particularly of men. Verena is an innocent young woman with a talent for public speaking; and Basil Ransom, an ex-Confederate soldier from Mississippi who wants to sweep Verena off her feet and make her his wife. As it happens, both Basil Ransom and Olive Chancellor are quite taken with Verena. Olive takes Verena under her wing and Verena becomes a star on the feminist lecture circuit. Basil finds every word Verena speaks sheer drivel, but is charmed by her. Basil and Olive fight for Verena’s affections. More unexpected, perhaps, is the fact that The Bostonians is the most openly sexual of his works, with its story of blatant sexual rivalry and the highly interesting sexual tension between Olive and Verena. (“She came to her slowly, took her arms and held her long—giving her a silent kiss”). Basil wins the day but isn’t really capable of loving anybody. James’ ominous ending demonstrates that Verena is merely a prize to be won. Basil will not treat Verena as anything other than an ornament in his home, and decidedly not an equal. Henry James makes clear that he will insist she give up public life on the lecture circuit for she is headed for the kitchen and the nursery. 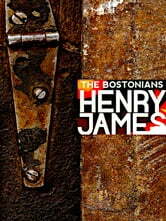 HENRY JAMES (1843-1916) was an American novelist, playwright, biographer and critic. He is considered one of the finest writers of his time, his masterworks including The American, The Turn of the Screw, Daisy Miller, The Portrait of a Lady, The Wings of the Dove, and The Aspern Papers. "Wonderfully rich, intelligent and brilliant."